This photograph shows six men standing. Four of the men are holding golf clubs. 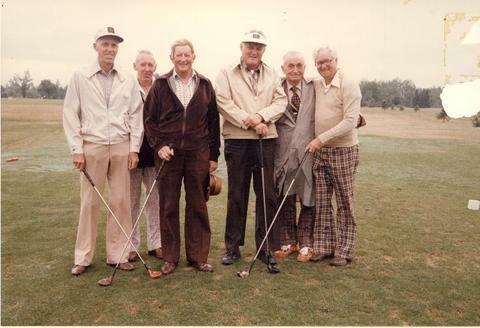 "First Annual Golf Day July, 1978 L to R Stan Lawrence, Harvey Pettit, Fred Jerome, Rae Stuart, and Ernie Root" is written on the reverse of this photograph.